I’ve heard a lot of conversation in the nature spirituality community, including the druid community, about not touching nature, leaving it alone, to simply “be”. I remember one influential druid speaking at an event and saying, “The best thing you can do in nature is pick up the garbage and get out.” From a certain standpoint, this perspective makes a lot of sense. It is the same perspective held by many conservationists trying to preserve pristine lands or lands that have been replanted and are healing; the best thing that can be done is figure out how to keep people from mucking them up, pick up garbage, and leave them undisturbed. Because people have a tendency to come in, move things about, pick things, disrupt ecosystems, and generally cause havoc. Or worse, much, much worse. Further, in a world where most humans can’t identify even five trees or have any idea if the ecosystem they are looking at is healthy or not, it is a good perspective for nature to be on her own. This is a perspective ultimately rooted in the desire to care for nature, to preserve nature, and to do good. I do think there are cases, for ecologically sensitive areas, during breeding season, and so on where this is still the best philosophy. But I think in many more cases, it is not. However, as I began my own journey to understand and connect with nature more deeply, I came to a different understanding. Through deep study of permaculture, bushcraft, wildcrafting, and so on, and reading the works of many authors, including M. Kat Anderson’s Tending the Wild, Jon Young, and Wendell Berry, I came to a different understanding. The perspective of “pick up the garbage and get out” implies that we put nature on a pedestal; that we enshrine her and look at her from afar, that we leave her alone. She becomes like the object in the museum behind the glass wall with the lights shining on it; interesting to visit once in a while, but please don’t touch. It fosters separation and disconnection from nature. The minimal interaction with nature maximizes separation. But we are part of nature, we are not separate from her. It fosters fear about nature or about our own interactions with nature. Particularly, the fear to do harm, the fear to do the wrong thing, makes us fear doing anything. And so then, we do nothing. It fosters ignorance about nature. Last week, I talked about how nature wisdom had two parts: the book learning through nature knowledge and the experiential interaction through nature understanding. Because we are separate from it, we have no opportunity to learn from experience. An alternative perspective–which I’m advocating today through nature engagement and next week through nature reciprocity–is a very different one. It is a perspective rooted in connection, wisdom, and in a deep-rooted responsibility. Nature engagement is the opposite of “pick up the garbage and get out”–its the idea that we are part of nature, we can learn to use her, to work with her, help her grow, and tend her, and use her responsibly. (And for earlier posts in this series, please see the framework, nature wisdom, and nature engagement). One of the concepts that really shaped my thinking on this was how M. Kat Anderson describes the indigenous peoples of California’s view on “wilderness”. While in English, the concept of wilderness is a largely positive, in that it has been untouched by humans, it is pristine, it is wild, the concept of “wilderness” for the indigenous peoples of California is very negative: it meant that land was unloved, untended, and not under anyone’s care. For western people, humans touching nature is assumed to be bad/destructive, so wild places that are untouched are therefore good (as long as that wild place isn’t someone’s front lawn). But for the indigenous Californians, touching nature and interaction is good and nature that was left to go “wild” was a sad thing. Indigenous peoples all over the world and, going back far enough, everyone’s ancestors, understood and still understand this: if we are going to survive, and thrive, we do so in partnership with nature. What I’m actually talking about is dependency. With the rise of industrialization, factories and mass production replaced home cottage industries; consumer goods and purchasing replaced hand-created, foraged, and grown goods; and humans in western civilization, in a few short generations, lost the ability to learn to live from nature. Today, for many people living in industrialized nations, we have lost nearly everything our ancestors knew about how to live abundantly from the land. This included everything from growing food to foraging, from fishing and hunting to natural crafts, to building things naturally or with wood (a topic I explored in my “way of wood” post some time ago). We need nature, we depend on her, her survival is our survival–even if systems present in consumerism and industrialization have separated many of us from this truth. If we enshrine nature, if we put her on a pedestal and look at her from afar, we will never develop the sacred relationship and co-dependency that leads to deep love and knowledge. If all we are willing to do is “pick up the garbage and get out” then that’s all we will ever be willing or allow ourselves to do. The connection stops there–with a distance of respect, and reverence, but without interaction or interactivity. Part of why nature is so powerful to us is that she can–and does–provide all of our needs. You step on a lawn; there is an incredible abundance of healing food and medicine there. 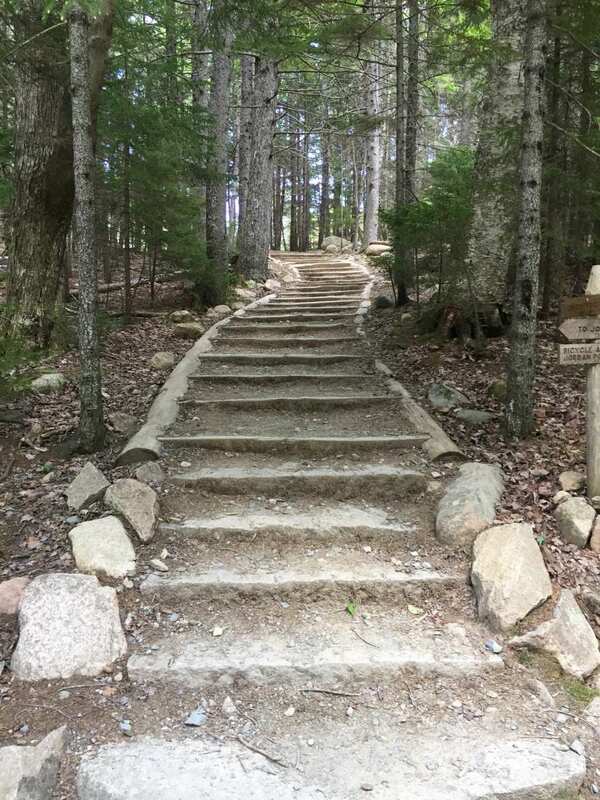 Each time you walk into a forest, there is so much there to offer you. Looking at a beautiful plant is one thing; looking at a beautiful plant that can help heal your pain is quite another. Through interacting with nature, and instead, prefer to interact with nature, to learn how to use her, to learn how to heal her (which all go hand in hand). Humans use nature every day–it is how we survive as a species. From the oxygen in the air to the clothes on our back, nature is with us. Everything that clothes us, feeds us, heals us, and shelters us ultimately comes from the earth in some form. We in the western world might be very disconnected from the original source of materials used to create the things we wear, sleep on, or eat every day, and see it as wholly human made–but in the end, it has a natural source, and it is important that we learn to reconnect with nature as provider. Because of exploitation, because we have such damage in many ecosystems, we are hesitant to directly take anything from nature; hesitant to do harm, when the very materials we thrive upon and food we eat comes from the land. But “using nature” in a druidic sense needs to account for more than what we take–for a nature-based spiritual experience, it is less about “what can I take” and more about relationship, both give and take. Previously, I’ve mentioned Wendell Berry’s concepts from the Unsettling of America: approaching the natural world from a perspective that exploits (which is only taking, taking without reservation, and taking in a way that degrades and destroys life) vs. a perspective that nurtures (taking only enough, paying attention to the health of the land and considering long-term issues). If we approach using nature in a place of nurturing, we are already in the place to develop a relationship with nature. To me, I see this issue as one of reciprocation. I know that with each meal, with each moment I spend in a warm and heated home, I am taking from nature. So my goal, then, is to give back in every way that I can. If I pick our native black raspberries to eat (like I did this morning–yum), I save some and scatter them into new areas where they will grow and I leave some ripe ones for the wildlife. Foraging and Wild Foods: This hobby is a wonderful way to learn how to use nature and enjoy some tasty treats. I always balance foraging activities with ways that I directly give back to the land: scattering rare woodland species seeds, helping the plants I am harvesting (when native) by spreading their seeds, and so on (more on this next week). Sometimes, foraging helps manage species that are too abundant (or what others might call “invasive”); thus helping keep that species in check. You can never harvest too much japanese knotweed, garlic mustard, kudzu or dandelion! 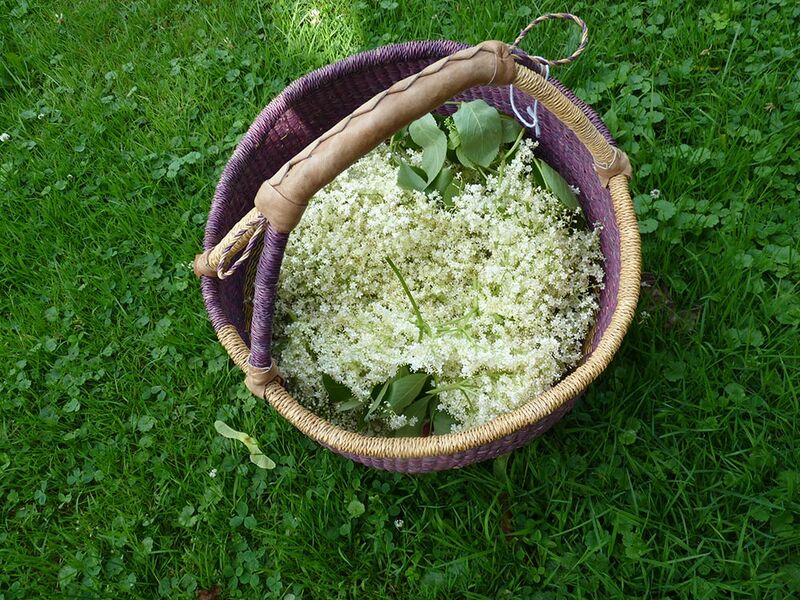 Two posts (here and here) introduce you to foraging activities and give ideas and suggestions. Lots of websites and books are available–and I often post material on foragable treats (like Hostas and Milkweed, both of which I covered this year). Bushcraft. Another take on the “using nature” is by learning bushcraft skills. These are various wilderness survival skills like shelter building, fire starting, making cordage from natural materials, and more. There are various bushcraft skills scattered throughout the country and they offer a rich variety of classes. One I have attended is the North American Bushcraft School in West Virginia, who offer a wide range of classes on a variety of topics. Herbalism. Learning how to heal the body with plants is another amazing way to “use” nature and learn how to engage with her more fully. I have found the herbalism community in the US to be rich, and delightfully earth-affirming and earth-honoring. It is a wonderful practice to learn with a lot of good people to learn from. I have a post here detailing some of the ways to get started in this practice. You can learn both how to grow your own herbs and also how to harvest from nature and tend to wild patches of herbs to help them better grow. Natural building. One of my long-time favorite ways of learning to use nature is through building using materials right from the land–through timber framing, cob construction, and more. I’ve written on this topic a bit here and will have some upcoming posts on the topic later in the year! I actually think that part of the great tragedy of the modern consumerist movement is that nature has lost much of her “value” to humans. I watch people cutting down apple or walnut trees, cutting back big swaths of dandelions or burdock, cutting down whole forests–and there is so much “of value” in those spaces, but the value isn’t known any longer. When I teach wild food foraging classes in the summer, what strikes me the most is how learning something even small about a plant completely changes a person’s perspective on it–it changes their relationship, changes the “value” the plant has, and ultimately, connects them more deeply not only with that plant but with the ecosystem in which it grows. I’ve had people come back to me several years later after attending a plant walk and saying how they stopped spraying their lawns because they didn’t know that you could make wine from dandelions and salve from plantains, etc. And use of nature absolutely builds nature connection. What I’ve found as I’ve delved more deeply into the above practices (some moreso than others) is that the more that I learn to use nature, the more connected I am, and frankly, the more value something has. As a druid, I approach every aspect of nature with reverence and respect. But, its amazing to come across a patch of wild dogbane in the summer and be so excited because in the early winter, I know I can come back and harvest the dried stalks for cordage. That really adds something to my interaction with this incredible plant and the ecosystem in which she grows. Our second category under “nature engagement” is nature activity. This refers to the many nature-based activities that we can engage in and be out with and part of nature. Hiking, kayaking, cross-country skiing, backpacking, camping, and much more are an assortment of things that can be done in nature. My general rule, as someone who is focusing on cultivating a nurturing relationship with nature, is to focus on activities that have minimal impact or no impact and use minimal to no fossil fuel. 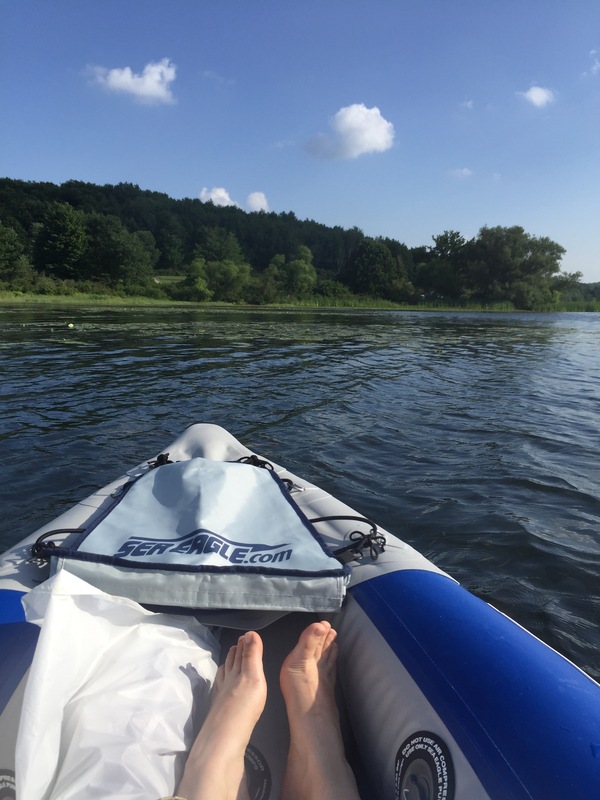 So I am happy to kayak down a river paddling using my own human power and navigating the river’s current, but don’t want to take a big speedboat. There are so many ways we can engage in activity, exercise, and healing through “doing” nature. I also think that activity can be paired with wild food foraging and herbalism, which really enhances your experience with being part of nature and connected to nature! Another thing I like to do is combine sacred activities in nature (nature reverence, which we will explore in more depth in two weeks) with getting out in nature. So planning a kayaking trip that also has a ritual component; bringing along a healing blend of herbs to make offerings to the land and a bag of American Ginseng and Ramp seeds to scatter, and so on. Nature as a muse: nature can be an incredible muse for all different kinds of creative practice. I am a visual artist, and I am often sketching and photographing what I see to bring into my paintings; a dancer might choose to interpret the pattern of the clouds through motion, where a musician might play the song he hears in the waterfall. Being present with nature, being in nature, being observant in nature, learning to meditate in nature–all of these can bring you inspiration. 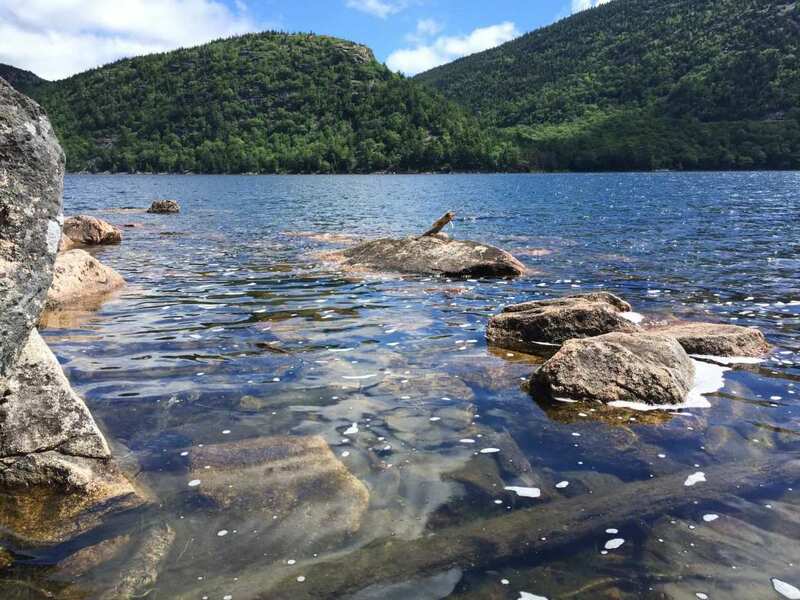 I also find that when I travel somewhere new, outside of my usual places and outside of my own bioregion, inspiration of new natural places often floods within me. Nature and Artistic Media: Using nature as part of your creative process is another way to bring nature centrally into creative practice. This might be doing woodcarving and using wood, creating berry inks, vine-based charcoals, hand papermaking, and more. Wildcrafting: There are many kinds of artistic materials and craft projects that you can do. I love finding ways of working with nature directly in my artistic and bardic practices. Berry inks, handmade papers, homemade decorations, smudge sticks, herbal offering blends, and so much more can come right from the living earth. For these, I only take what is in abundance, what I grow myself, or what needs to be managed. 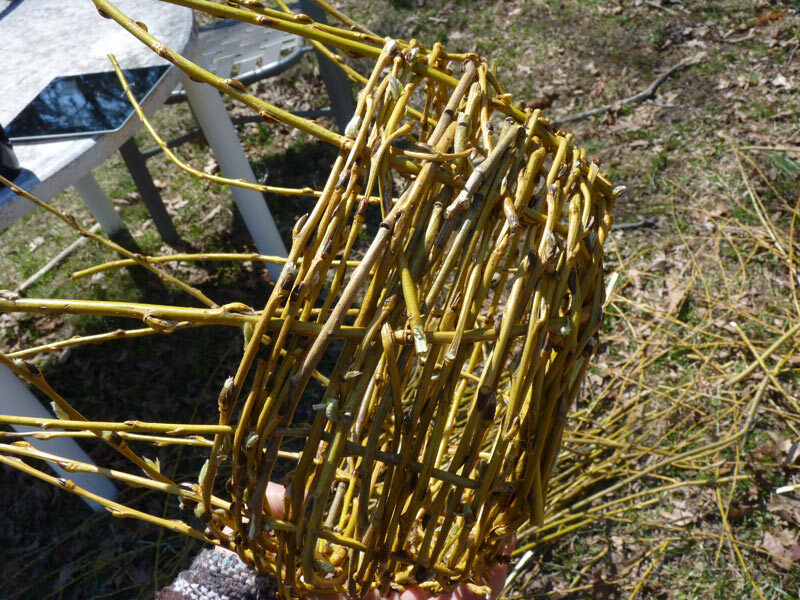 I’ve also seen artists who work with whatever is abundant–a wonderful basket artist who works with bittersweet vines; harvesting the vines helps keep them under control and produces lovely works. Or a woodworker who collects deadfall from the side of the road and turns it into masterpieces. Or a mosaic artist who works with stones and shells from the ocean. Part of this, I think, is finding the parts of nature that speak and resonate with you and that bring you inspiration. This post has covered a lot of ground–so we’ll end for here, and next week, we’ll pick up and explore the other side of the coin to “nature engagement” which is “nature reciprocation.” Blessings as always!